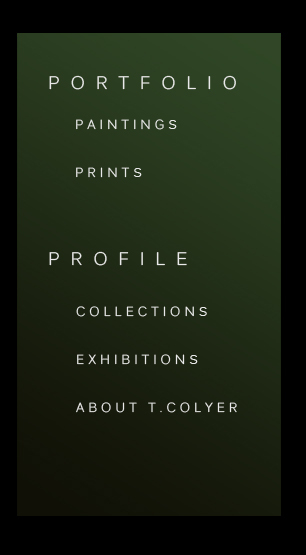 Ted Colyer was born in Nova Scotia, Canada in 1947. Upon graduating from Mt. Allison University in Fine Arts he went to Japan to further his studies in traditional Japanese woodblock techniques. 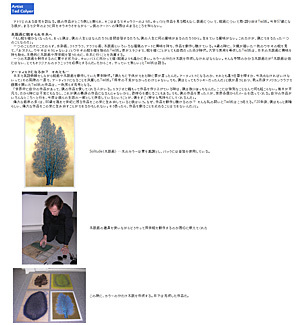 In 1975 he began his professional career as a painter and printmaker and remained in Japan for 17 years. 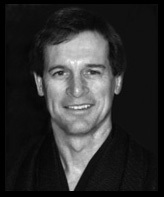 In 1988 he returned to Canada and currently resides in Squamish, B.C. "...When I was preparing my acceptance speech there was a word that came to me and it was “steadfast.” There’s that painting in the lobby of the Nikkei Centre. It’s a painting of the Pacific Ocean. After the centre was built, Robert Banno commissioned Ted Colyer for a painting. He left it up to him to come up with something. 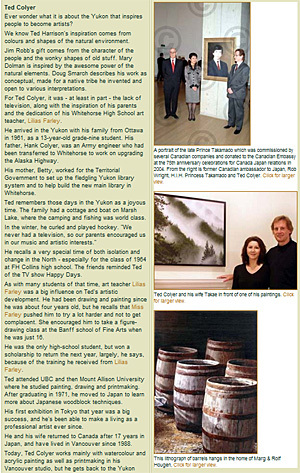 Ted Colyer had spent 18 years in Japan studying art and he married a Japanese lady. And so he chose to portray an aspect of the Japanese characteristic, and it’s titled Steadfast, the Pacific Ocean. I looked at the painting and I thought about it, and I realized what he meant by the title was that we were steadfast like the Pacific Ocean. The Pacific Ocean is named Pacific because it’s the calmer of the two major oceans. So he meant no tsunami, just gentle pressure. And the two countries, Japan and Canada, share the same ocean. So now, you look at that picture, and realize that you yourself, you’re steadfast too. Think about it. Your mother was, and also your father was. They both supported the community for years and years. When I look at this community, the word steadfast says it all." The Greater Vancouver JCCA is a non-profit organization representing the Japanese Canadian community in Vancouver and the surrounding area. 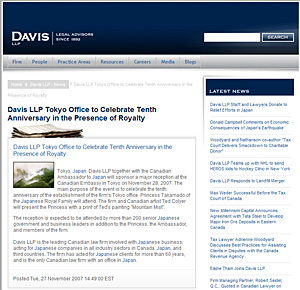 Tokyo, Japan: Davis LLP together with the Canadian Ambassador to Japan will sponsor a major reception at the Canadian Embassy in Tokyo on November 28, 2007. The main purpose of the event is to celebrate the tenth anniversary of the establishment of the firm's Tokyo office. Princess Takamado of the Japanese Royal Family will attend. The firm and Canadian artist Ted Colyer will present the Princess with a print of Ted's painting "Mountain Mist". The reception is expected to be attended by more than 200 senior Japanese government and business leaders in addition to the Princess, the Ambassador, and members of the firm. 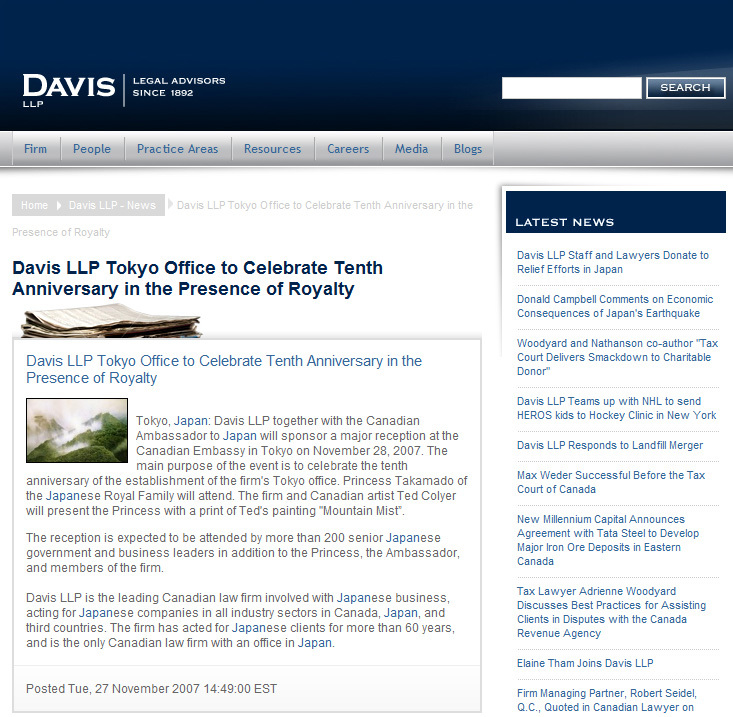 Davis LLP is the leading Canadian law firm involved with Japanese business, acting for Japanese companies in all industry sectors in Canada, Japan, and third countries. The firm has acted for Japanese clients for more than 60 years, and is the only Canadian law firm with an office in Japan. 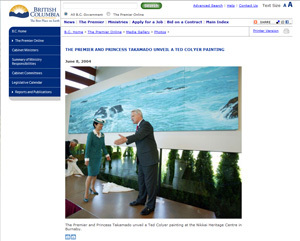 The Premier Gordon Campbell and Princess Takamado unveil a Ted Colyer painting at the Nikkei Heritage Centre in Burnaby, BC, Canada. 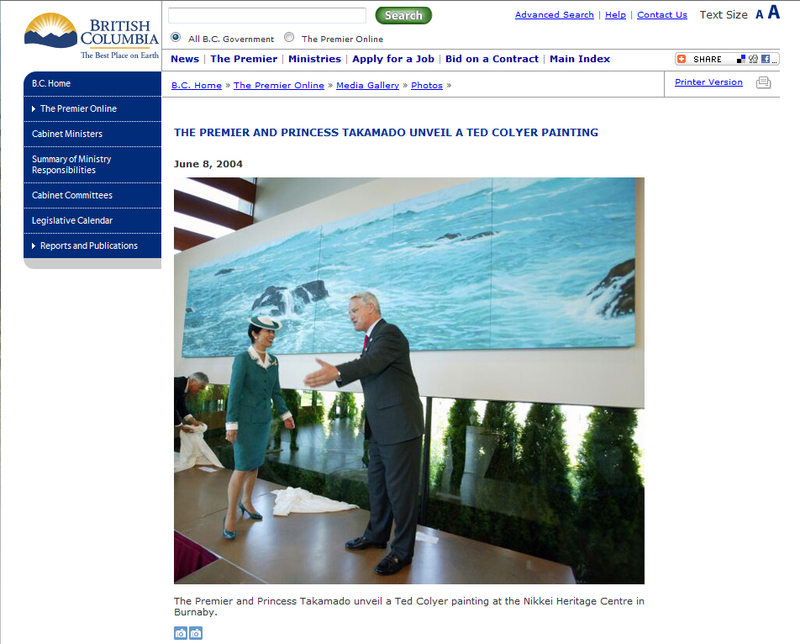 Princess Takamado visits National Nikkei Heritage Center and attends unveiling of the Ted Colyer's pastel "Steadfast" with the premier Gordon Campbell. Princess Takamado and the premier Gordon Campbell listens to Ted Colyer's explanation of his work, "Steadfast"
Ted Colyer was featured on the Oops Japanese Magazine which is distributed in both Japan and Canada. Cocktail party at the Canadian Ambassador's Offical residence. 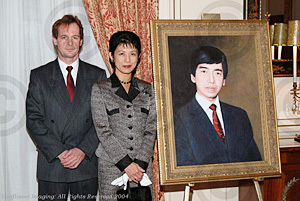 A portrait of Prince Takamado, by artist Ted Colyer, was unveiled and presented to be displayed in the Canadian Embassy. Princess Takamado made some remarks and thanked the sponsors for their kind support. 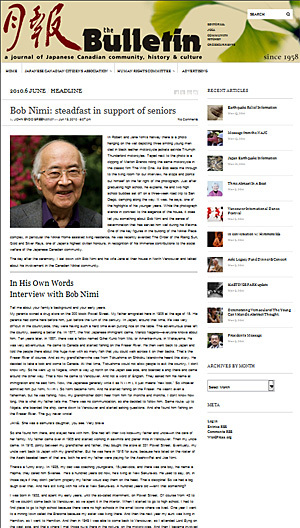 Ted Colyer was featured on the Hougen Group website's Youkon History section, under 1961 column, which was the year Ted Colyer moved to Yukon with his family from Ottawa.